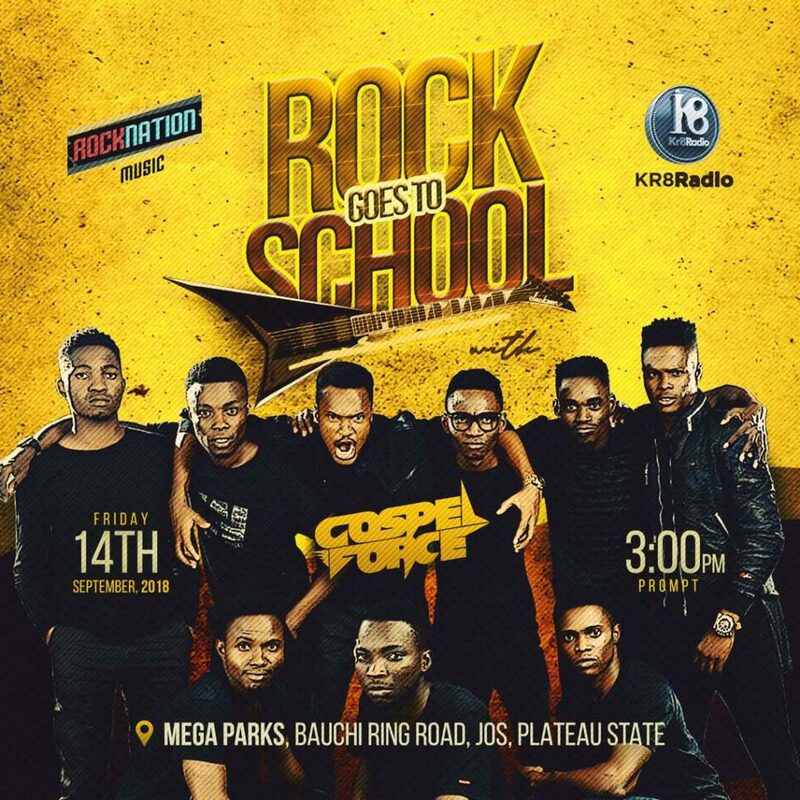 Just a few weeks ago, Gospel Force announced their campus evangelism initiative, Rock Goes To School. And now the band is set to launch out starting from the Northern part of Nigeria. Isn’t this an awesome news? Going to the “home of peace and tourism” of Nigeria to begin an initiative led by the Spirit of God is one of the best things that can happen to any nation God is really concerned about. Date: Friday, September 14th, 2018. Venue: Mega Parks, Bauchi ring road, Jos, Plateau State. RGTS tour in Jos is not alone as it will be in conjunction with the northern-Nigerian based radio station, Kr8radio. God is about to tour. For partnership/enquiries, please contact Olamide – +2347066143466.